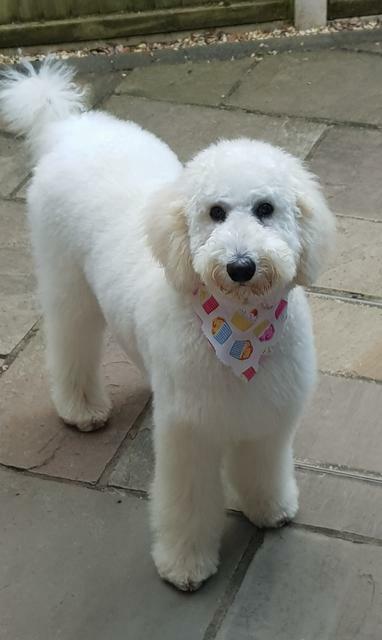 UK Labradoodle Association • View topic - Proper haircut! Here's our pretty Luna after a 2 hour session at rge groomer's today. About 2 inches shorter all over. She looks like a baby polar bear! I suspect she will be doing her best to ruin it by tomorrow by rolling in anything she can find! Post subject: Re: Proper haircut! I seem to have lost the ability to post a photo, old age amnesia I think, must settle down and try again.